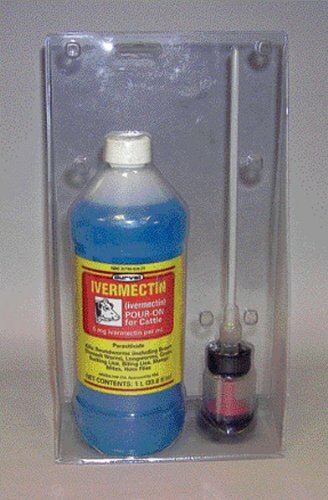 Cat worming is a common health procedure that vets will do on your cat. 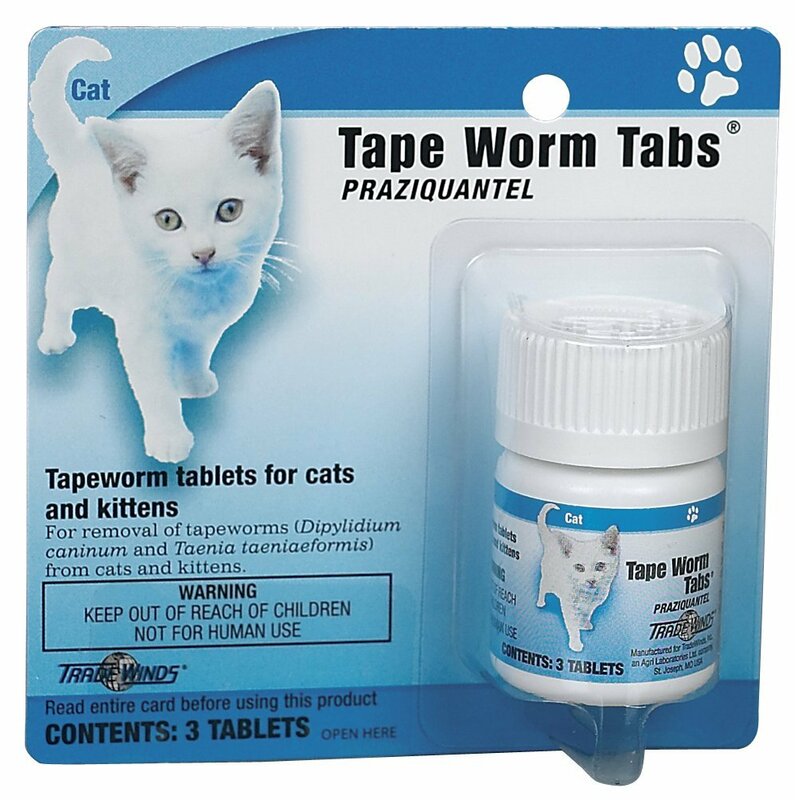 You can also ensure that you regularly deworm your cat. 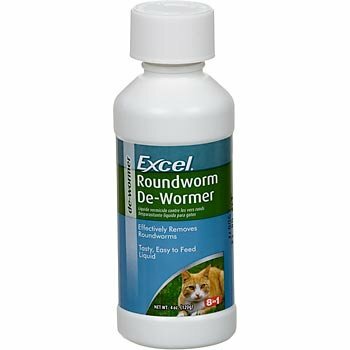 You just need to know the best selling and most popular cat wormers in the market. 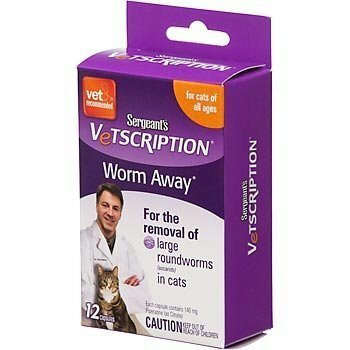 If you find it hard to get them because the market is flooded with so many of these medications, then just check some of the wormers that we at PetMedsToday.com have to offer. 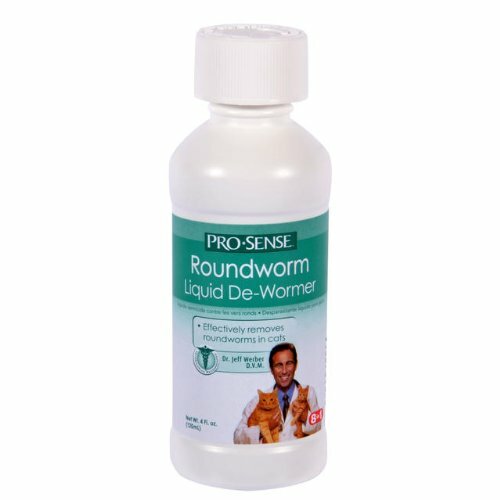 We have wormers that are in both liquid and chewable form. 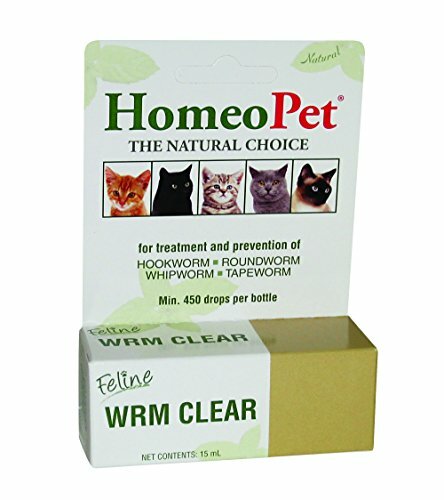 Cat worming is essential for your pet's health and should be a regular health care procedure for your pet cat. 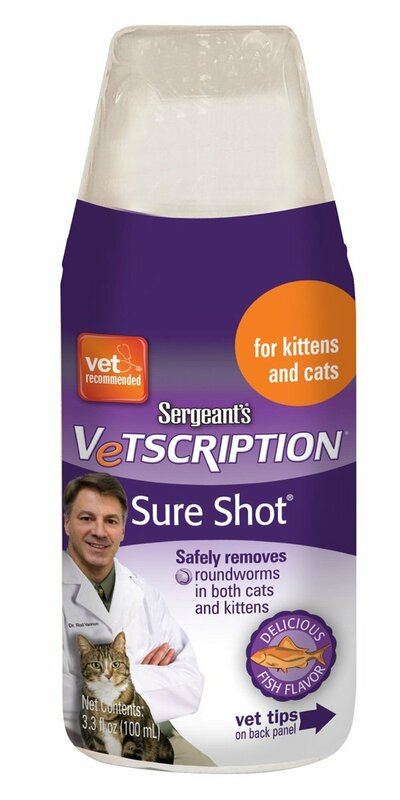 Sergeant's vetscription sure shot liquid wormer cat 100ml. 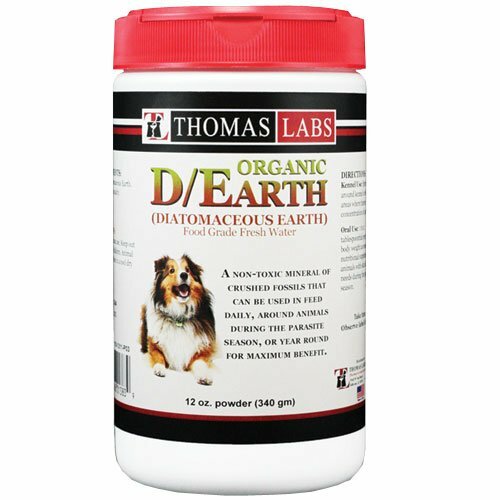 For the removal of large roundworms. 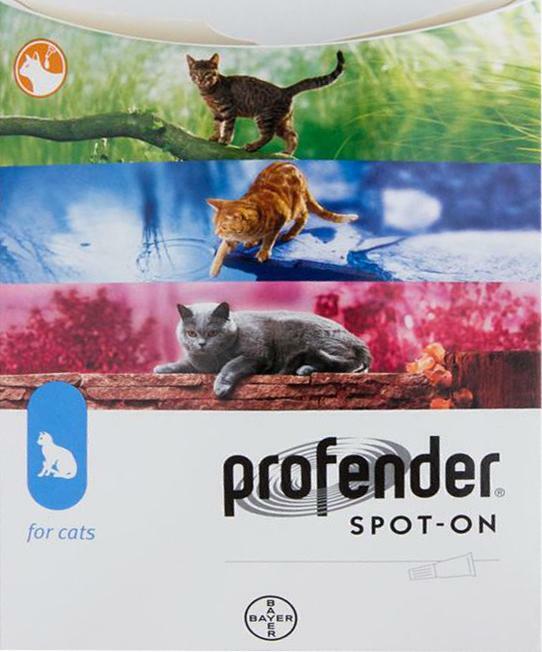 For cats of all ages and sizes. 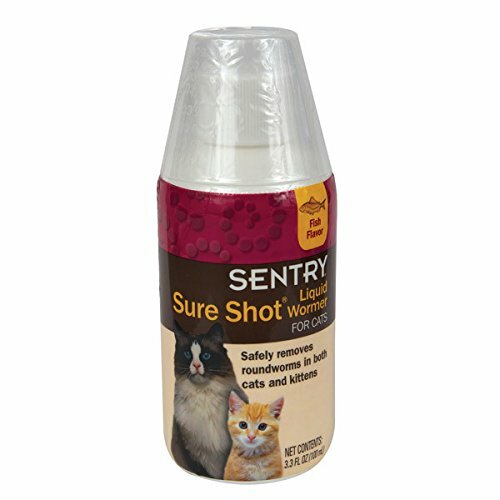 Sentry Sure Shot Fish Flavored Liquid De-Wormer is able to treat Roundworm and return your feline friend to top health. 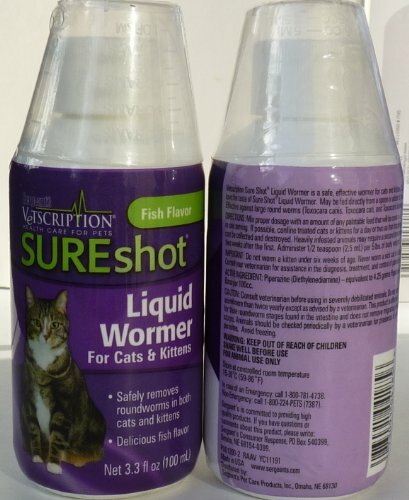 Sentry Sure Shot Fish Flavored Liquid De-Wormer is a liquid treatment formulated to treat Large Roundworm, Toxocara Canis and Toxacaris Leonina. 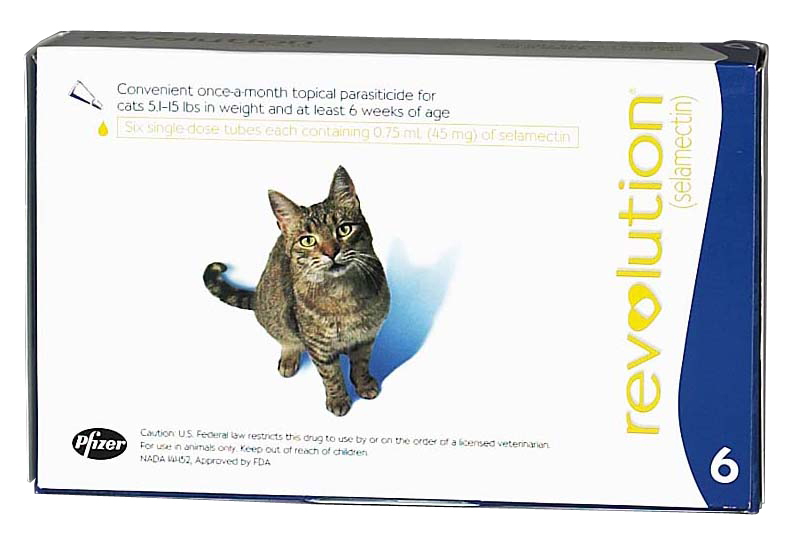 Directions: Cats or kittens 6 weeks or older: Administer 1/2 teaspoon (2.5 mL) per 5 lbs. of body weight. 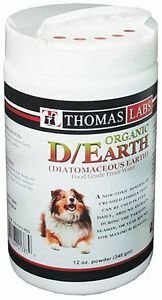 Quality you can trust at a value you will love!